Through SEO marketing we can help you to attract a maximum number of people to your website. This in turn will help you to enhance the branding of your products and company as a whole with the rise of the customers in your business. A web promotion plan is what we usually start with along with an effective strategy for web development and web design. High-end search optimization techniques are introduced by us, which help to get the top position of the major search engines. Email marketing service is also provided by us. Affiliate, associate and reseller programs help to dominate the marketing niche. 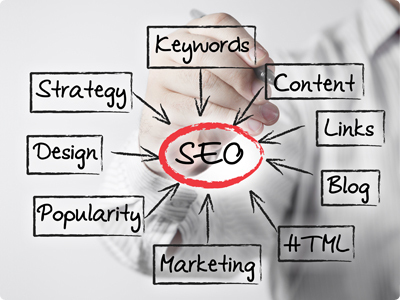 We provide you with all the analysis that is needed for SEO marketing. A responsive opt-in, in the email list is built up. Latest articles are published so that you get involved in the news stories. Press releases are written and published online. We conduct and facilitate different contests and give away the prizes through your website. We can help you to maintain blogs that will initiate your interaction with your visitors. According to us, the guidance provided by us will help you to create a concrete strategy of SEO marketing which will substantially help you to boost up your business. The guidance and help provided to our clients on the area of SEO marketing enable them to expand the presence of their brands. It helps them to increase their visibility through the search engines and helps the visitors of their sites get transformed into their loyal customers. Clients who are starting their career with a small business known to only few people can prosper and become get success quickly in a short span through the proper strategies and guidelines of SEO marketing provided by us. Through the effective strategies, we can actually help your website turn into the most powerful and leading generator of your business. Our expert knowledge comes in great advantage as they help us to bring our clients’ websites to huge success levels. We're working with small, medium-sized, and large businesses right now, helping them improve their rankings and delivering them real, measurable results.